Christianity originated as a religion of the persecuted and oppressed. But for most of its history, the church sided with the rich and powerful (and has been among their ranks) and turned a blind eye to poverty and oppression, writes Diane Fieldes. “How can it be that it is not a news item when an elderly homeless person dies of exposure, but it is news when the stock market loses two points? … Today everything comes under the laws of competition and the survival of the fittest, where the powerful feed upon the powerless. Pope Francis of the Catholic Church, “The joy of the Gospel”, Saint Peter’s, Rome, 24 November. How can the apparent contradiction in the above statement by Pope Francis be understood – radical words decrying capitalism as a “new tyranny” flowing from the leader of one of the world’s largest and most conservative institutions? To understand this history and the role of religion, we need to look at how Christianity came about, not from the standpoint of theological ideas but by looking at the class forces and development of the societies that created it, gave it an audience and transformed it. This is a better starting point than immaculate conception. But how do we understand those yearnings today? The Bible might seem of little help. After all, the Gospels of Matthew, Mark, Luke and John are far from historical eyewitness accounts of the life of Jesus. Christianity was originally an oral tradition, its early adherents generally being illiterate. The preachers had their own versions of the stories, and even in the writing down, there were constant editing and changes. The “word of God” status accorded to the Gospels came not from divine revelation but from a majority vote of the Church’s Nicene Council in the fourth century. Yet while the New Testament has numerous contradictions within and between the various Gospel writers, much of it does give a picture of the social conditions that enabled Christianity to take root. The Roman Empire was a slavery-based system in which the vast majority were impoverished. Palestine was bitterly class divided, and the majority Semitic population were oppressed by the Roman occupiers. Jewish society was itself not only class divided, but also divided in its relationship to the empire. Its priestly caste and nobility were propped up by the Romans to aid in the exploitation of the masses. The early Christians were mainly but not exclusively members of the non-slave lower classes – dispossessed small farmers, poor artisans, unemployed former slaves, peddlers and beggars – congregated in the large cities that developed as part of the creation of the Roman Empire. It was a restive, largely unproductive population. There were many popular revolts against Roman occupation and class oppression, all of them led by messiahs (saviours or liberators) armed with aspirations expressed in religious terms. Much of what we know comes from the conservative Pharisee, Josephus, whose The Wars of the Jews describes such messiahs, who, “under the pretence of divine inspiration … prevailed with the multitude to act like madmen, and went before them into the wilderness, as pretending that God would there show them the signals of liberty, but in each case the Roman forces attacked and killed or dispersed them”. These historical figures provide the basis for Jesus. The Jesus of the New Testament is the messiah of the Jewish tradition, rather than the deity that he later becomes. Unsurprisingly, it was the urban poor who most longed for the appearance of such a messiah. Despite later editing designed to remove much of the material aspirations of early Christianity, the New Testament still contains elements of its early radicalism: “He has brought down mighty kings from their thrones, and lifted up the lowly. He has filled the hungry with good things, and sent the rich away with empty hands. He has kept the promise he made to our ancestors, and has come to the help of his servant Israel” (Luke 1:52-54). Jesus appears as a radical leader, throwing the moneylenders out of the temple: “Do not think that I have come to bring peace to the world. No, I did not come to bring peace, but a sword” (Matthew 10:34). “Whoever does not have a sword must sell his coat and buy one” (Luke 22:36). This is not about waiting for a better life in the hereafter! Further evidence of the this-worldly rather than other-worldly attractions of early Christianity is the degree to which the Kingdom of God was seen to be at hand in the lifetimes of those Jesus is addressing. “But many who are now first will be last, and many who are now last will be first” (Mark 10:31). Roving apostles (Greek for “messenger”) spread the good news of the messiah to the Jewish communities of Palestine and gradually to the Greek-speaking Jewish poor of the cities of the whole empire, and through them to the poor of the cities more generally. The penetration of the marginalised and maligned ideas of Christianity was all the greater because most Jews were not integrated into the key structures of Roman society, and were therefore less keen to accept the existing society unquestioningly. The sect that grew around the legacy of Jesus of Nazareth soon split into two separate tendencies. One remained committed to the Jewish revolutionary ideals of its foundation. It idealised an egalitarian, democratic community of compassion and cooperation. The other tendency was led by Saul of Tarsus, a Jewish travelling artisan and merchant, who became known by the Greek version of his name, Paul. The Pauline Christians transformed the material demands of the radicals from a Jewish revolutionary creed into one whose appeal was universal rather than Jewish, and whose hopes lay in salvation beyond the grave. The decisive factor in which version of Christianity won out came from the uprising in 66 AD against both the Romans and their wealthy Jewish collaborators. With the defeat of the Jewish revolt and the destruction of Jerusalem in 70 AD, tens of thousands of Jews fled Palestine, and many others were enslaved. This gave a boost to the Pauline sect in the Jewish diaspora, with its emphasis on the non-Jewish and spiritual Jesus. Salvation no longer depended on the victory of the defeated Jews of Jerusalem. The later Gospels, and their revision to include more of the Pauline Christian views and story, were a sign of the growing influence of that sect, but also an expression of the growing class division in the Christian community as it accommodated to Roman society. Few of the communistic ideas of the earlier Jewish radical sects remained. As Siegel puts it, “It more and more dissociated itself from Judaism and made its peace with Rome, becoming a religion that provided solace for the disheartened proletarian masses.” Paul’s letter to the Christians in Rome speaks of personal salvation rather than bringing kings down or feeding the hungry. The message now is that everyone must obey state authorities, because no authority exists without God’s permission, and the existing authorities have been put there by God (Romans 13:1). The New Testament was thus a revised version of early Christianity in the aftermath of the suppression of the Jewish revolt. The violent exploitation and oppression of the Roman Empire meant both immense misery and very little possibility of effective resistance. This contradiction created a space in which Pauline Christianity could grow among the oppressed and exploited. Friedrich Engels’ article “On the History of Early Christianity” (1894) sums up the transformation that took place: “[T]hree hundred years after its appearance Christianity was the recognised state religion in the Roman World Empire”. By the early fourth century AD, the church had become a powerful force. But once again, it was the church’s role in social life, not its ideas alone, that was the key. It played a role in providing local government in the declining empire, and it helped to direct the aspirations of the poor and oppressed into the next world, as well as providing some very limited welfare for the poorest, so long as they knew their place. As the church grew in wealth and influence, a series of features had to change. The power of the bishops, and especially the bishop of Rome, increased. Church property, of which there was an increasing amount, no longer belonged to the community but to the priesthood. The bureaucracy of the church increased, as did its distance from those it supposedly served. It was the church’s role, rather than a spiritual awakening, that meant army officers, government officials and landowners had already become Christians by the time, in 312 AD, that Emperor Constantine the Great became a Christian himself and gave the church official sanction. Regardless of Constantine’s personal spiritual views, his conversion represented the empire coming to terms with a powerful force whose services it needed. Once backed by the power of the state, the church destroyed its opponents. The persecution it visited on heretics within its ranks made the martyrdom of the early Christians at the hands of Rome pale by comparison. Changes in Christianity did not happen without a fight. As the power of the church began to grow, but before the hierarchy was strong enough to suppress most internal opposition, Christianity had a multitude of competing sects. Their existence in this early period was almost totally obliterated as the apparatus of the church established itself, rooting out heresies on the ground but also attempting to remove them from the historical record. The decline of the Roman Empire, with diminishing sources of new labour and soldiers for its army, and the consequent decline in its ability to supply new slaves through conquest, created ideological turmoil for the ruling class. It lost faith in itself, and looked for ideas to cope with the difficulties of its existence. The most important of these, taken into Christianity from the Stoics, was the idea of the law of nature, a divinely ordained hierarchy in both nature and society. This was used by the Catholic Church for centuries to support the existing order. Even after Christianity became the state religion, new heretical sects harking back to its rebellious origins continued to appear. Now their focus included the wealth and corruption of the church hierarchy. For example, the church opposed the abolition of slavery, holding large numbers of slaves itself well into the Middle Ages. The decline of slavery was in spite of, not because of Christian charity, and due to changes in the mode of production and the replacement of slavery by feudal serfdom. The words of Paul, “Slaves, obey your masters … with a sincere heart because of your reverence for the Lord … for Christ is the real Master you serve” (Colossians 3:22-24) applied to feudal peasants as well in the eyes of the church. Poverty was glorified, but only if it was hardworking and uncomplaining. Social inequality had to be accepted as a consequence of humanity’s fall from God’s grace with the expulsion of Adam and Eve from the Garden of Eden. Other ideas of the early Christian communities were also transformed by the changed status of the church. Charity was no longer the mutual aid of community members, but a way of buying redemption for one’s sins. Tithes on land were introduced in the sixth century, and it was the labour of peasants that paid them. High posts in the church, and the wealth and power that went with them, were available only to those of noble families. A sign of the massive wealth of the church was the 11th century papal decree of celibacy for the priesthood (although it was not instituted until the 13th century due to the opposition of the priests). Its purpose was to keep this great wealth within the church. In feudal Europe, the church held one-third of all land, making it the continent’s largest landowner – a pitiless one. Siegel again: “The immortal, but soulless corporation with her wealth of accurate records would yield no inch, would enfranchise no serf … In practice the secular lord was more humane, because he was more human, because he was careless, because he wanted ready money, because he would die.” Not so the church. Class power of this magnitude had to be protected ideologically. The response of the church to the invention of printing was the creation of an index of forbidden books. In addition, the Bible and works of theology were declared too important to be made available in the languages that congregations actually spoke. Keeping such things in Latin reinforced the church’s control. The development of capitalism within the structures of feudalism created new pressures to renovate Christian ideas in the form of Protestantism – which better fit the regular and unceasing rhythms of work of the emerging urban society. For example, Protestantism provided a theological justification for eliminating the far too numerous Catholic holidays. 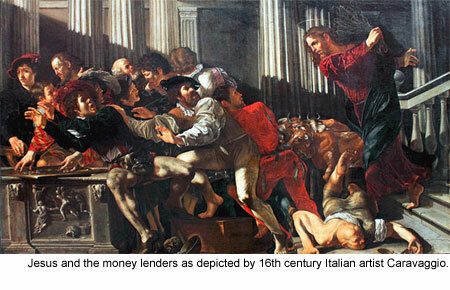 Christianity provided religious justification for the economic and social needs of the emerging capitalist class, enabling the church to continue successfully into modern society. This brings us back to popes and social reform (or what Marx and Engels in the Communist Manifesto called “feudal socialism”). Pope Francis is hardly the first pontiff to tread this road. In 1891, Pope Leo XIII advocated social welfare measures and urged employers to be just and workers to be peaceful and collaborate with their bosses. This was explicitly to avert socialism, for which the conditions of 19th century capitalist production had created a ready working class audience. Vatican II, the 1962 council called by Pope John XXIII, was designed to address the difficulties of a worldwide shift away from Catholicism. A makeover was needed. Mass was to be given in the vernacular rather than Latin, meat could be eaten on Fridays, nuns were allowed to wear lay clothes – all in order to keep the church connected to a mass audience. From early in its history, Christianity became and remains a powerful conservative force – even though many radical or even revolutionary movements have continued to be led by people of religious faith, or to take a religious form such as the liberation theology of whole sections of Latin American Catholicism in the 20th century. But let us not kid ourselves that Pope Francis is attempting to lead such a movement. His Apostolic Exhortation is not a new Communist Manifesto, but a clever move by the head of what remains an important buttress of the system. He knows how much the economic crisis has made the system stink in the nostrils of its victims.